Aimlessly blogging about landlord life since 1782. No nonsense! 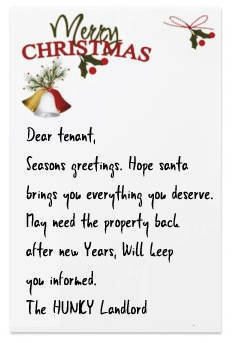 In my previous blog post I asked the question, are you going to bother sending your tenant a Christmas card. 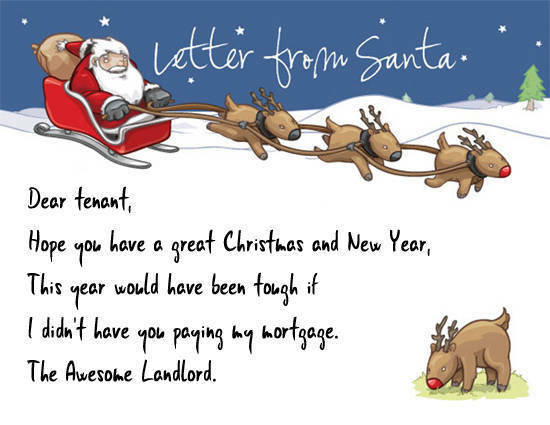 Continuing on with my run of festive blog posts, I’m now going to discuss what you shouldn’t say/put in your tenant’s Christmas card. 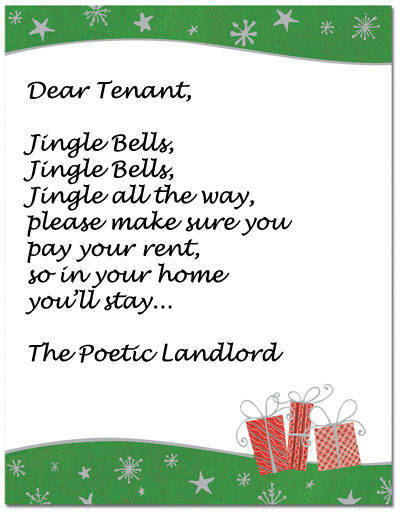 I’m sure it’s a common problem thousands of landlords face on a global scale- knowing what to and what not to write in your tenant’s Christmas card. Write too little, you can may come across as rude. Write too much, and you may come across as weird. Write something funny, and you may cause offense. It’s such a small and insiginicant part of being a landlord, yet has the potential to cause so much damage. Ah, the dangerous life of being a landlord at Christmas. Most of you chumps have probably been super organised and sent your lousy cards out already. But for the real masculine landlords out there, this post will prove to be vital, I’m sure. 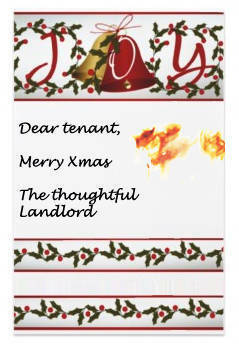 In order to avoid any negative consequences of sending an intended kind gesture, I asked the people of Twitter what landlords shouldn’t put in their Christmas cards to their tenants. Here are some of the most popular responses, along with my own examples. You got anymore stupid and pointless suggestions? Let me know, innit. Finally, I hope you all have a great Christmas and Happy New Year. Happy Christmas to you and all those I have hopefully given sound advice to this year - and to those of you who I have lambasted for being too stupid, inept, lazy incompetent and moronic (see Ajay Ahuja thread) I hope you have a good one too even though my opinion remains unchanged as are your chances of getting your dosh back (can't believe I am saying that). To all you nice DSS tenants - I hope you find something better and your lives improve in 2010. To all you scumbag DSS tenants - I hope your New Year is worse than the last. To all you fellow Landlords - may your yields rise along with your bank accounts. May you drink from the spring of Mr Moet for many years to come! Finally to The Landlord - thanks for such a great site your comments never fail to make me smile. keep it up in 2010! Ha, what a nice round up, Twatty. Love the way you ended the year! 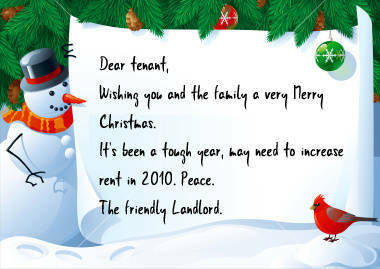 Hopefully 2010 will be prosperous for us landlords!!! haha yea! thanks for the awesome web site! I never send a Christmas Card if I haven't received one!! yet has the potential to cause so much damage. Ah, the dangerous life of being a landlord at Christmas.